A Unique leasing opportunity. 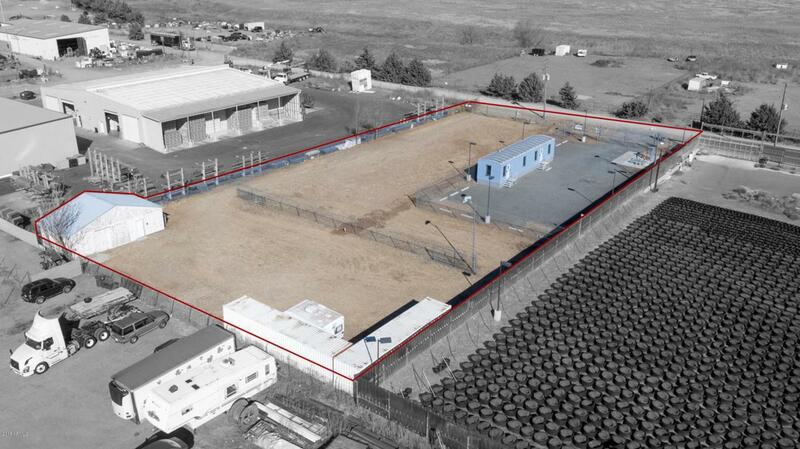 Industrial zoning for yard storage, office w/storage and security fencing. Lease on or both of two adjacent units. Unit 1 is lights 12,420 sf w/12x60 office; 10 ft security fence with separate gate.- $1000.00 per month. Unit 2 is 26,260 sf w/electric, water & sewer hookups and 8 ft security fence. $600.00 per month. Great for truck or container storage. Owner will retain access easement fo Unit 3. See property layout under documents tab.